APAC shoppers are more active on smartphones than ever, digital advertising dominates budgets, and social media is considered to be the most effective form of marketing to acquire new customers. These are the key findings of the new Reach, Click and Conversions report released by Criteo. The report, which gathers insights from Australian CMOs and marketers, found 44.8 per cent of total ad spend in Australia is online spend, followed by TV and then print. This reflected an increase from 36.2 per cent in 2014. Paid display advertising took out the top spot for marketing budget allocation last year, making up 17.6 per cent, closely followed by social media at 16.5 per cent. 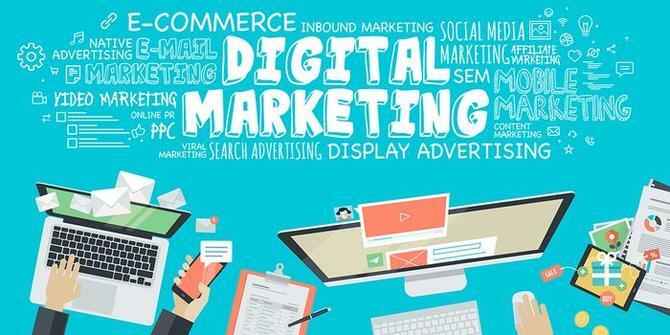 By 2022, Criteo is expecting to see 87 per cent of total marketing budgets going to digital. As well as digital increases, the report found TV, outdoor, radio and cinema advertising all rose slightly between 2014 and 2017. In contrast, print has significantly declined every year. Social media marketing is consistently being rated as one of the most effective channels across all three stages of the customer journey and is one of the most widely used marketing activities. More than six in 10 respondents who have targeted acquisition campaigns are employing social media marketing (64.6 per cent), and marketers perceive social media marketing and SEO as the top two most effective marketing activities in acquiring new customers. Average effectiveness rating were at least four out of five, with social media marketing also perceived as the most effective for conversions and driving repeat purchases. Conversion rates are five times higher on shopping apps than on mobile web, by 2020 smartphone ownership will overtake that of personal computer, and mobile Internet retailing is set to grow to $13.7 billion by 2022. Having an integrated marketing campaign continues to be important, with 56.2 per cent of marketers believing having an integrated campaign improves user experience by providing consistent experience across the purchasing journey, and 44.9 per cent of marketers believing having an integrated campaign maximises ROI. Personalisation also appeared as a key theme across all three stages of the customer journey, with personalisation seen as a key to driving repeat purchases, conversions, and acquisitions. The report also found metrics, such as new revenue and new customer rate, are widely used to track campaign effectiveness in various stages of customer journey. Based on the most commonly used metrics across all three stages of customer journey, incrementality appears to be important to marketers. In addition, 62 per cent of marketers surveyed indicated they have targeted campaigns for all three stages of the customer journey, mainly because the objectives, tactics, attribution model, and budget are different for campaigns at each stage. Meanwhile, high cost and targeting efficacy are the main challenges marketers face at acquisition stage, with the main challenge at conversion stage being a disconnect between online and offline data. With re-engagement stages, the main challenge is lack of integration with CRM databases. Social media marketing and paid display advertising are used by more than half of marketers at conversion stage. Paid display advertising, social media marketing and email marketing are then widely used to drive repeat purchases. Just over half of marketers also believe targeted campaigns focusing on driving repeat purchases helps build customer loyalty or brand preference. The Criteo report gathers insights from Australian CMOs and marketers and analyses local data to show the current state of play in Australia’s digital marketing landscape.